Lycopene is an important carotenoid for our health. This carotenoid is the pigment that gives food such as tomatoes, pink grapefruit and watermelon, their red color. This antioxidant is not produced by the body, so you must consume foods rich in this antioxidant, which are mostly tomato products. However, contrary to most other fruits and vegetables, the body absorbs processed tomato products, like tomato paste, better than it does raw, fresh tomatoes or tomato juice. To increase absorption, cook the tomatoes lightly with some olive oil. Just as it is true for lutein, a small amount of added fat, like olive oil improves lycopene absorption. * For a quick and simple dinner choice, open a jar of tomato-based sauce and pour over your favorite pasta. Top with steamed vegetables or grated cheese. * When making your own spaghetti sauce, include some tomato paste and a small amount of olive oil. * When choosing soups…think tomato! 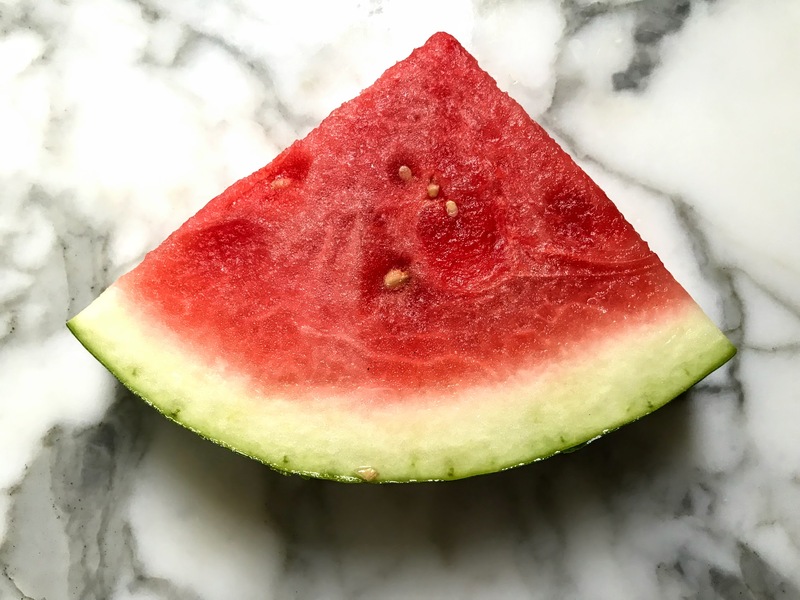 * Watermelon makes a light, fat-free dessert. * Include a fresh pink grapefruit in your breakfast. Lycopene is a powerful antioxidant which, as we know, de-activates free radicals that can damage our cells and our macula. According to the American Cancer Society, "the antioxidant activity of lycopene is at least twice as great as beta carotene, another carotenoid that is also thought to be an effective cancer-preventing nutrient. Lycopene is considered one of the more effective antioxidants because it is not converted to vitamin A after it is eaten. Conversion to vitamin A weakens the antioxidant properties of carotenoids like beta carotene." Several studies have shown a correlation of reduced incidence of macular degeneration, prostate cancer and cardiovascular disease in those who consume high quantities of food containing lycopene. Reported in the Archives of Ophthalmology, a 1995 case controlled study concluded that persons who had the lowest serum levels of lycopene, the most abundant carotenoid in the serum, were twice as likely to have age related macular degeneration (AMD)when compared to those with the highest levels.